Google+ is rolling out a feature called Find My Face, which helps other people tag you in their photos. Find My Face uses the face recognition data from Picasa Web Albums to make suggestions. The feature is disabled by the default and you can enable it from the settings page. Google says that it will share this data with the people you know, which probably means the people from your circles. "Around the holidays, many of us get together with friends and family, and if you're like me, you take lots of photos! Tagging those photos can be a lot of work. So today we're launching Find My Face, an easier way to tag photos of yourself and your friends. 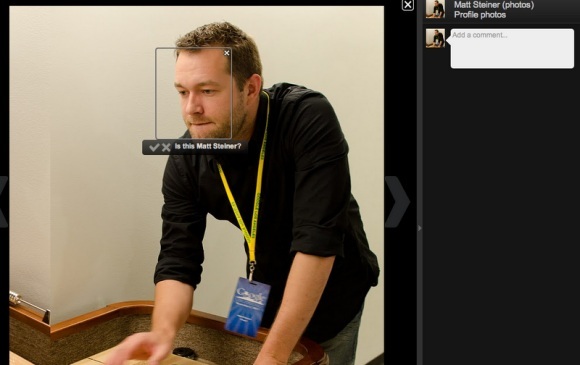 By turning on Find My Face, Google+ can prompt people you know to tag your face when it appears in photos. Of course, you have control over which tags you accept or reject, and you can turn the feature on or off in Google+ settings. Find My Face will be rolling out over the next few days," informs Google. Unlike Facebook, Google won't enable this feature by default. "We recognize that Google has to be extra careful when it comes to these [privacy] issues. Face recognition we will bring out once we have acceptable privacy models in place," said a Google employee back in March. VentureBeat concludes that "by making a simple opt-in procedure, Google will let the 'privacy-schmivacy' set enjoy the benefits of the new tech while sidestepping any accusations of dirty dealing from those who take privacy a bit more seriously". If you’re one of the victims of the economy and have found yourself without a job, then you probably want nothing more than to get back in the saddle and start working as soon as possible. But where are you going to look? The Internet is one of the best resources for finding employment if you know where to look. Most people start off by pointing their browser to Monster, CareerBuilder or some other job board. While there’s nothing wrong with this, you should know that you’re not getting all the job listings that are actually available at those sites.